Cystic fibrosis is an inherited condition that causes a build-up of thick mucus in the lungs and other parts of the body. It is one of the most common genetic conditions, affecting nearly 11,000 people in the UK. 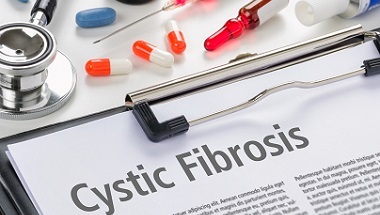 People with cystic fibrosis are more prone to digestive problems and lung infections. Over time their lungs become damaged and may stop working properly. There is no cure for cystic fibrosis, but people can keep their symptoms at bay using a daily routine of treatments that combine medicines, exercise and physiotherapy. making sure you are offered the right tests at your check-ups. What are you most worried about – are there aspects of your treatment or care that worry you more than others? How will different treatments affect your day to day life and things you hope to do? What support and advice from your care team will help you keep fit and healthy and fight off infections? Patients with cystic fibrosis could avoid having to travel to specialist clinics if health professionals could monitor them using phone or video messaging. NHS Choices has more information about cystic fibrosis. We wrote this guideline with people who have been affected by cystic fibrosis and staff who treat and support them. All the decisions are based on the best research available.